The AcceleDent™ System is designed to increase the rate of tooth movement and may reduce treatment time when used with a conventional fixed orthodontic appliance. Results from a Randomized Controlled Clinical Trial, conducted at the University of Texas Health Science Center at San Antonio, demonstrate that tooth movement could be increased during the alignment phase by 106% and during the space closure phase by 38-50%. 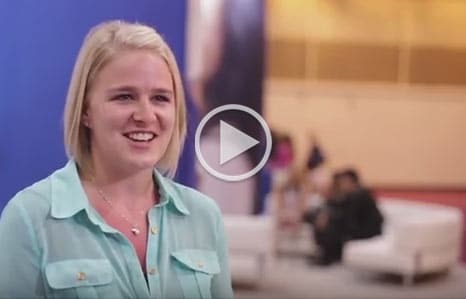 The use of AcceleDent™ with other types of orthodontic appliances has not yet been studied. 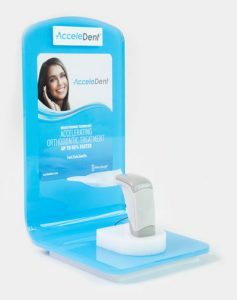 The AcceleDent™ System is light, comfortable, hands-free and can be used 20 minutes per day while engaged in a variety of daily activities. Patients have reported use while reading, watching television, listening to music, and doing school work. AcceleDent™ Aura will make you smile! Achieve your beautiful, desired smile–faster! AcceleDent™ is lightweight and comfortable. You may even forget you’re using it! AcceleDent™ can be used for patients of all ages, including children, teens, and adults.